You are ready to go hunting, camping or hiking. You have all your camping, hiking and hunting equipment ready to go, but you have nowhere to put it all. Choosing the best pack requires a lot of thought. The last thing you need on a long hunt or hike is to deal with back pain or an uncomfortable pack. The whole kit and caboodle weighs about 7 pounds 5 ounces, which is great in comparison to some of the competitors. While experts always suggest buying a pack in person to be sure that it fits properly and you can handle the weight, some products online are just too good to pass up. 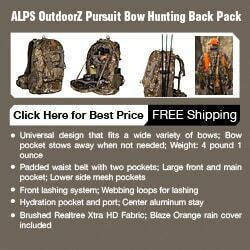 The ALPS OutdoorZ Commander Freighter Frame and Pack is a great choice for your packing needs. When you start adding all of your hunting equipment, the weight can add up quick. The less the pack weighs, the more you can pack without breaking your back. The bag has plenty of pockets to organize everything too. There’s a front pocket, a spotting scope pocket, a rifle holder and two hinged accessory pockets on the side plus pockets for your flashlight, knife and a holder for your shooting stix. This is all in addition to the main compartment. It also has a waist belt and shoulder straps to help distribute the weight. The Pack Bag is actually two purchases in one. There’s the frame and the bag. When the bag is empty, you can easily detach it from the frame and fold it up to store. That leaves you with the Freighter Frame. It’s extremely sturdy and very durable. You can attach as much cargo as you can carry. This means you can attach a large duffle, a dry bag or even the meat that you hunted that day. There are all kinds of straps and extensions in order to properly secure anything to the frame. Customers are extremely happy with their purchase of the Commander Freighter Frame and Pack. 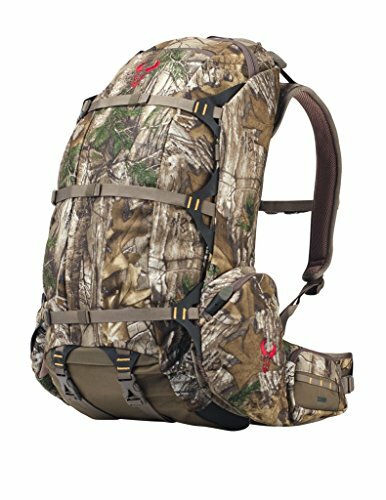 The pack is larger than the competitors, meaning you can store more equipment, and it’s almost $100 less than some of the competitive products. Some people had problems with the pins in order to put the frame and bag together as well as take it apart. There are 18 pins in total and they have a spring-loop, similar to a key chain. This can be a bit tiring to put together and take apart every time you want to apart the pack. Some people had problems with the pins in order to put the frame and bag together as well as take it apart. There are 18 pins in total and they have a spring-loop, similar to a key chain. This can be a bit tiring to put together and take apart every time you want to apart the pack; however, there is an option to upgrade to the next model up from the Commander Freighter Frame and Pack. It costs a bit more money, but it is still a lot cheaper than many of the competitor prices. Some people also say that the frame can be a bit noisy. Some people also say that the frame can be a bit noisy. Obviously, this can be a bit of an issue for hunting if you are in a situation where you need complete silence. It can be fixed by strapping down some of the pins so they don’t jingle so much. You can also replace the pins for a different kind that don’t make so much noise. The pack is great for any conditions. It is water resistant for the most part. One customer said that his pack stayed dry after eight days of hunting in rain, sleet, and snow. The material is tough and sturdy enough to handle thick brush and branches that could potentially rip holes and destroy the outside. It can also accommodate any type of rifle. The rifle slides through three different pockets, each one with its own separate strap that can be adjusted so you don’t have to worry about your gun slipping out. It’s extremely durable and versatile. It can withstand all types of wear and tear from weather and from nature itself. The pack can be removed and replaced with another type of pack or with your cargo from your hunting day. The whole kit and caboodle weighs about 7 pounds 5 ounces, which is great in comparison to some of the competitors. When you start adding all of your hunting equipment, the weight can add up quick. The less the pack weighs, the more you can pack without breaking your back. The bag has plenty of pockets to organize everything too. There’s a front pocket, a spotting scope pocket, a rifle holder and two hinged accessory pockets on the side plus pockets for your flashlight, knife and a holder for your shooting stix. This is all in addition to the main compartment. It also has a waist belt and shoulder straps to help distribute the weight. 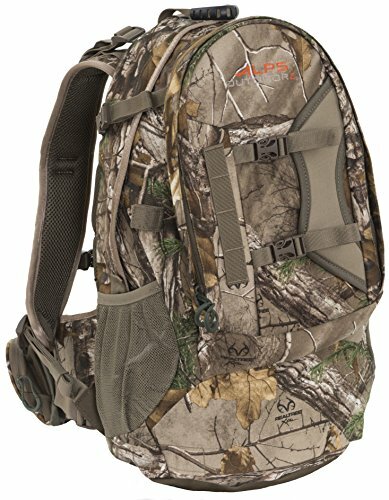 Conclusion – Should I buy this backpack? It’s extremely durable and versatile. It can withstand all types of wear and tear from weather and from nature itself. 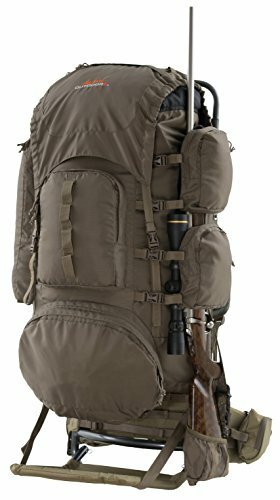 The pack can be removed and replaced with another type of pack or with your cargo from your hunting day. Any complaints made by customers were minor, and didn’t stop them from leaving a four or five star review every time. Seeing as this pack is much cheaper than many of the others on the market, you are definitely getting a great deal for dollar.